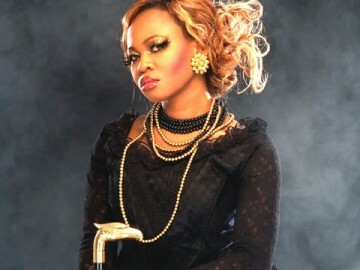 So it has been all over the web, news, tabloids the news of Goldie Harvey's death. After her time on Big Brother, she gained a lot more fame and popularity and even more when she attended the Grammy awards and the next was her sad unexpected death. I read many comments from people who had formerly said many uncharitable things about her have a total change of heart. What many didn't envisage would be the astounding revelations of a husband that hardly anyone had ever heard of, but whose wedding pictures could not have been "photoshopped". And his sad declaration that they wanted to start having children this year. She had envisaged, her audience (mostly Nigerian) might not accept her if they knew she was married to a European. She might have been considered an odd ball and people would cast all sorts of aspersions. So she chose to keep her private life private and pursue her career with tenacity. Many women might feel they cannot relate with what Goldie might have faced. Yes, it is difficult to relate with a persona that is built for the music industry, she was perceived as a sort of black sheep. But I know that many ladies I meet, are faced with the question of career and family. When to get married? When to start having children? How will my career be affected by a family? Many women have aspirations that are kept secret just like Godies husband for years just because they don't know where to begin and how they will be perceived if they drop the bank job to pursue a career as a motivational speaker, actress or even teacher that they feel is their passion and gift. The entire notion of a woman having a career is not sinful per se; but not something that is taught in the Scriptures. I have searched the scriptures and I think if a woman wants to pursue a career, it can be within God's permissive will, if one keeps her priorities straight, i.e., to fulfill the goal of getting married, having children, being a full-time mother to those children, and helping one's husband. Of course, this is VERY difficult because your burning the candle at both ends. It's all a mind set, a matter of priorities. Most people use the excuse that they want to give their kids a better life by pursuing a career; but oftentimes it doesn't work out that way. A career isn't just a job, it's a lifetime investment, that usually requires a 30-year commitment. There's nothing more precious than a mother who raises her children at home, makes her husband happy by helping him. The virtuous woman in Proverbs 31 sold garments she had made and even bought some real estate. She was the envy of the town. There are many ways to make money which won't lock you into a career. Having said all that, one must pray for God's wisdom in this matter. Ask Him to guide you and make the right decisions, which will affect the rest of your life. If you are a woman, I think it's appropriate for you to pursue a career if that's what you think God wants you to do. perfect words of wisdom,precise and content well arrange.